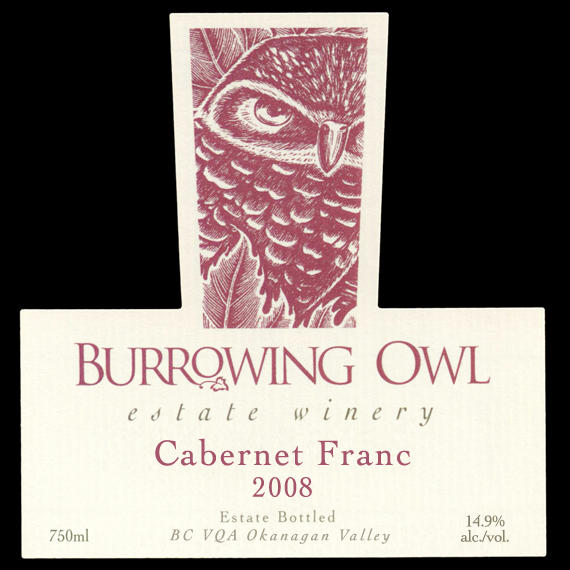 A dark plum core with a bright fuchsia rim give a sultry, elegant appearance to this vintage of Burrowing Owl Estate Winery’s Cabernet Franc. The elegance continues on the nose with chalky chocolate overtones that welcome you like an old friend, and an abundance of truffle and forest floor characters with a slight hint of ripe black cherries. 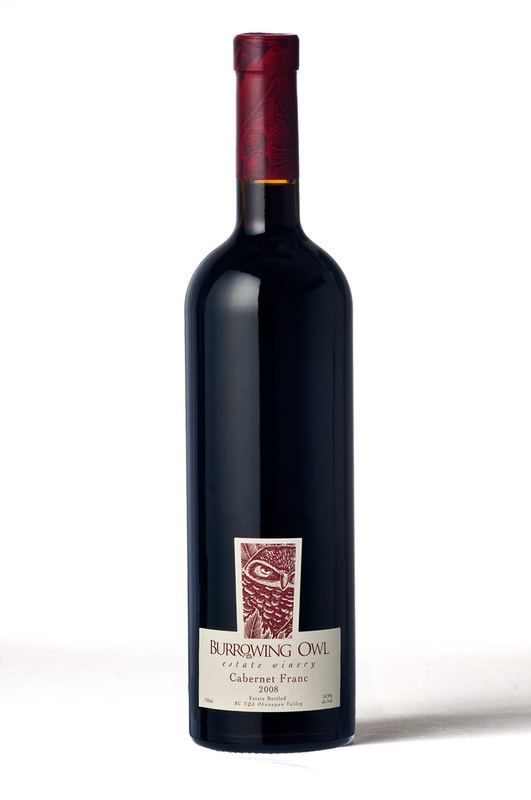 The chocolate and forest floor continue on the palate with silky soft tannins and a voluptuous finish. The balanced acid will carry the wine for the foreseeable future. Decanting is recommended for the greatest enjoyment. Drinkable 2011 through 2018. 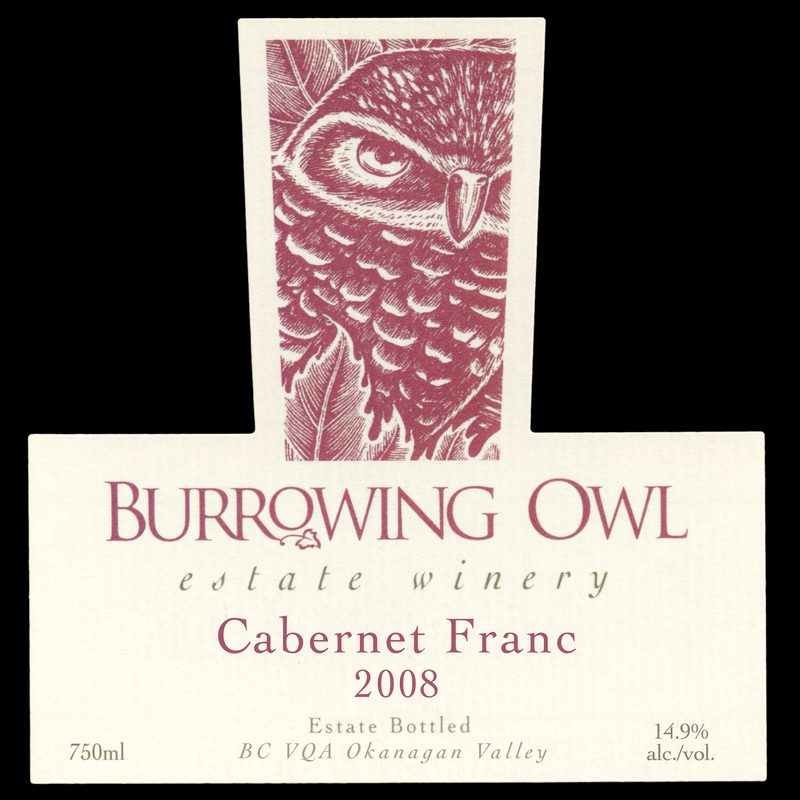 The grapes were harvested in the end of October, 2008 from the Burrowing Owl Vineyards in Oliver, BC. The grapes were gently de-stemmed and gravity dropped into our tanks prior to inoculations with our select yeast strains. The wine was fermented on skins for an average 20 days prior to draining and press of the skins. The wine then received 14 months of oak barrel exposure with periodic rackings.